If you’ve ever looked down at your smart watch and thought, ‘If only I could change that case out for a real mechanical watch by a recognisable Swiss luxury watch brand,’ boy are you in luck because that’s exactly what TAG Heuer‘s new Connected Modular 45 allows you to do. 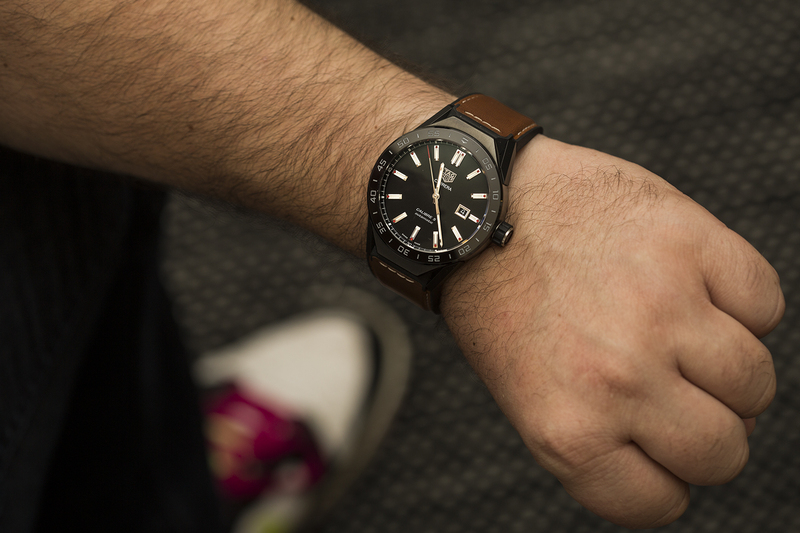 Going one step further than just a strap hack, the watch also has a tiny masterstroke in that you can change the lugs too, which can have the effect of changing the whole appearance of the watch. 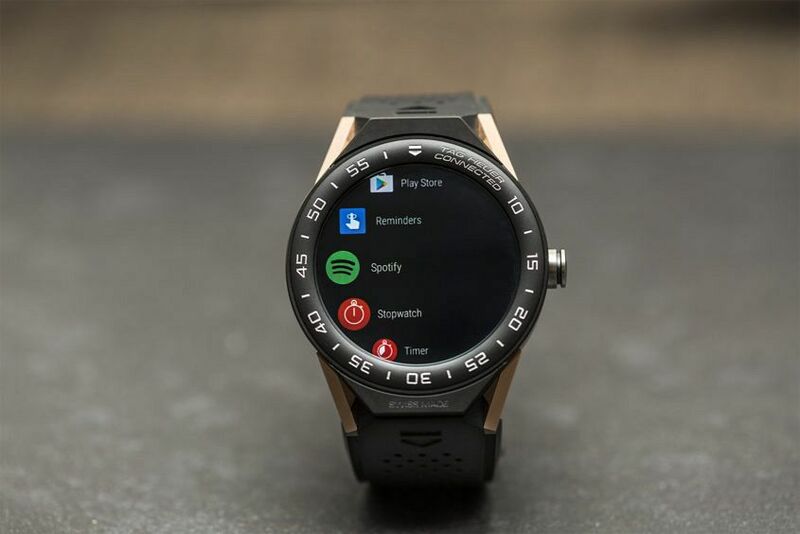 All in all, it does the equivalent of unleashing the Swiss hounds on Silicon Valley, by introducing something new to the smart watch suite that the tech community will never be able to. 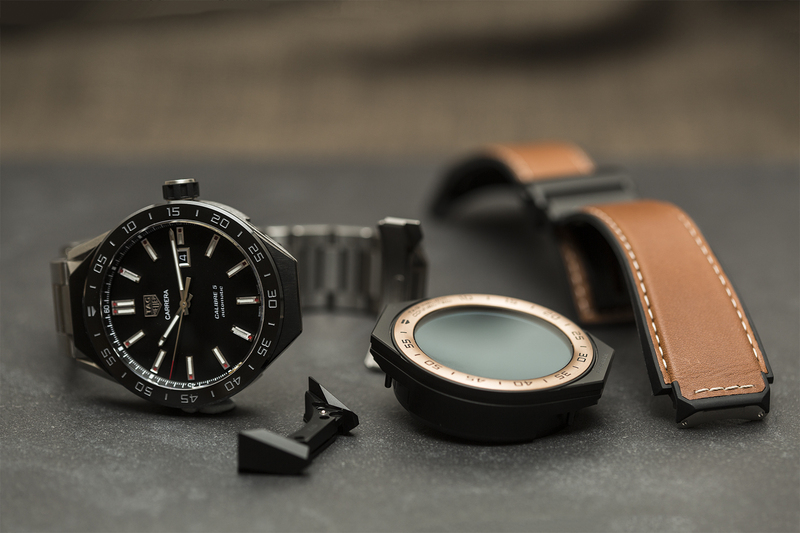 TAG Heuer’s first Connected was the luxury watch industry’s only serious foray into smart watches and the stakes were high. “This will either be my greatest success or biggest failure,” said TAG Heuer CEO Jean-Claude Biver at the time. It turned out to be neither, because while the sell-through was apparently very good (Biver would have you believe it was unprecedented and the most sold TH model since it was released), it has just been superseded with a new version that is not, unfortunately for early adopters, compatible in any way with the first generation model. And it’s arrived just in time, because the chinks in the first Connected’s armour were starkly exposed by vast improvements in the OLED screen and faster OS of the second series Apple Watch, which Felix recently became worryingly attached to. 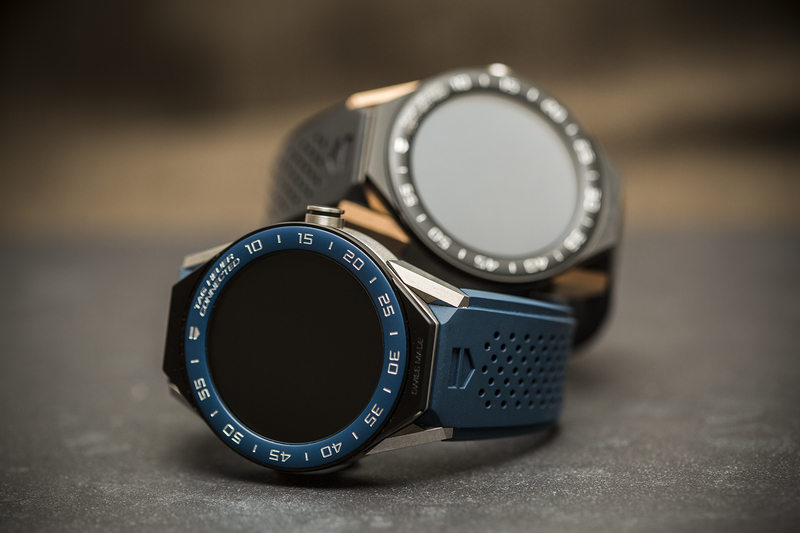 This new model, the Modular 45, represents a leap forward for Swiss-made smart watches. There’s the improved, deeper, AMOLED-enhanced graphics of the interchangeable TAG Heuer watch dials (like the Mona Lisa’s eyes, I swear the grain on the starburst dials changes with the light). Then there’s the zero-to-minimal lag on most apps’ loading time thanks to the Intel Atom processor Z34XX. And that’s all good to know. But the real story here is the ambition of this watch. The Connected Modular 45 doesn’t want to be one of your watches – it aims to be your one watch, your constant companion, regardless of the OS you’re on (it’s compatible with iOS 9+ so Apple users are all good). It wants to offer you the ultimate in versatility and changeability, “tailored to your mood” as the party line puts it. It wants to play your favourite song when needed, and also tell you the time, in its traditional mechanical watch form, complete with all the romantic stuff: a sweeping second hand, light glinting off real applied indices and logo and so on. It wants to count the number of minutes of activity you did each day, and pass on a message to your mum that you’ll be late, while directing you to the nearest florist so you don’t turn up to dinner empty-handed. The Connected Modular 45 doesn’t want to be one of your watches – it aims to be your one watch, your constant companion, regardless of the OS you’re on (it’s compatible with iOS 9+ so Apple users are all good). It wants to offer you the ultimate in versatility and changeability, “tailored to your mood” as the party line puts it. 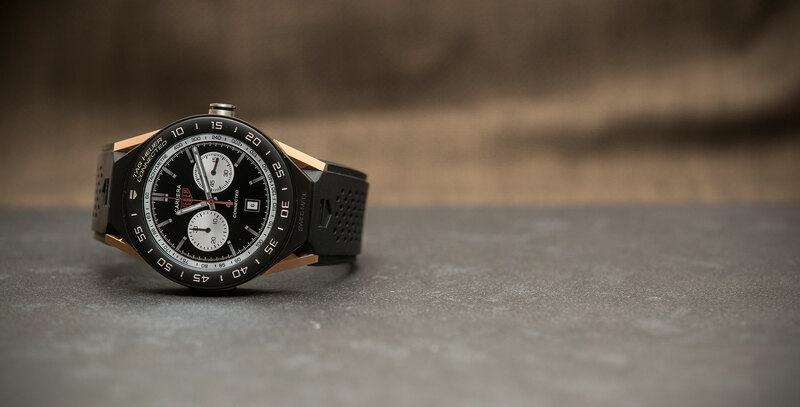 The key word, of course, is modular, referring to the fact it’s comprised of three interchangeable components – strap, lugs and watch case – which equate to a dizzying number of potential combinations. I’m no mathematician, but with lug options that include titanium, ceramic, stainless steel and gold, plus strap options aplenty, you’re all but guaranteed not to rub wrists with the same combo as yours on the morning commute. The ’45’ in the model name refer to the case size, which, if you haven’t worn it before, is bordering on huge. This will either strongly appeal, or be a deal breaker. If the key word is modular, the real genius is in the price. 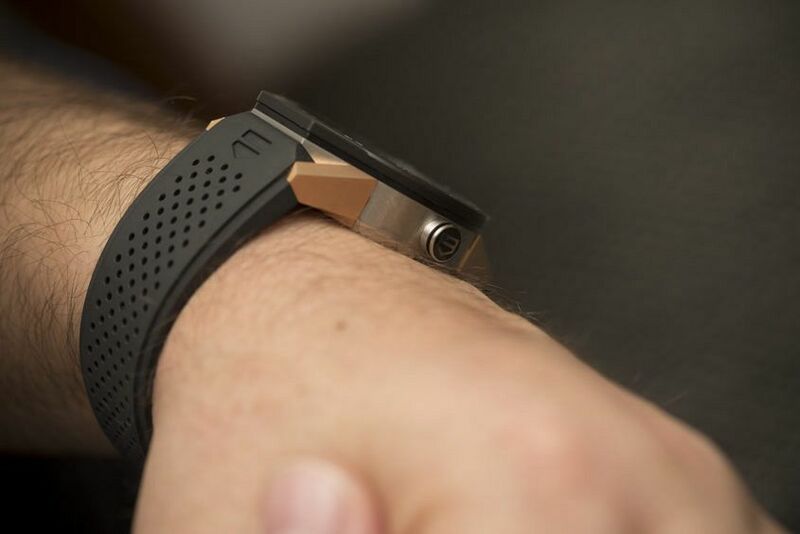 For $2300 you can gear up with the smart watch module and basic lugs and strap. Then, for an extra $2300, you can add a Calibre 5 mechanical module. 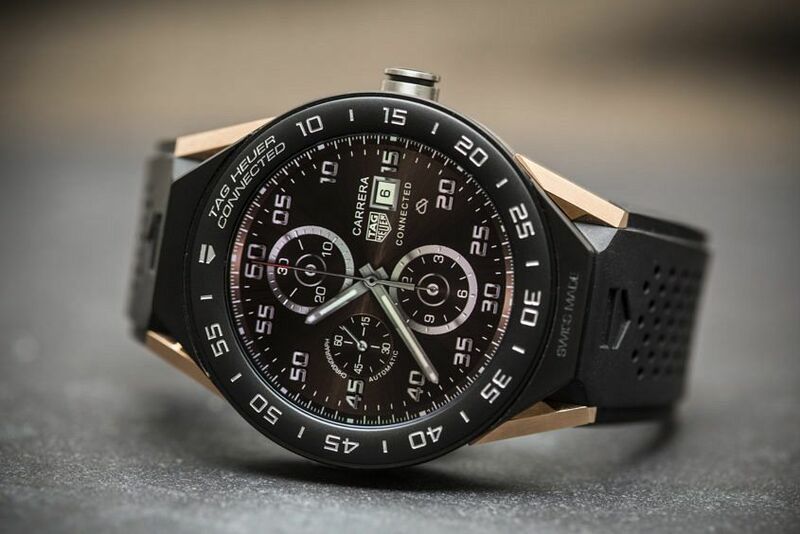 That’s $4600 in total – and it’s no coincidence that this amounts to just a couple of hundred dollars more than just buying a standard TAG Heuer Carrera Calibre 5. 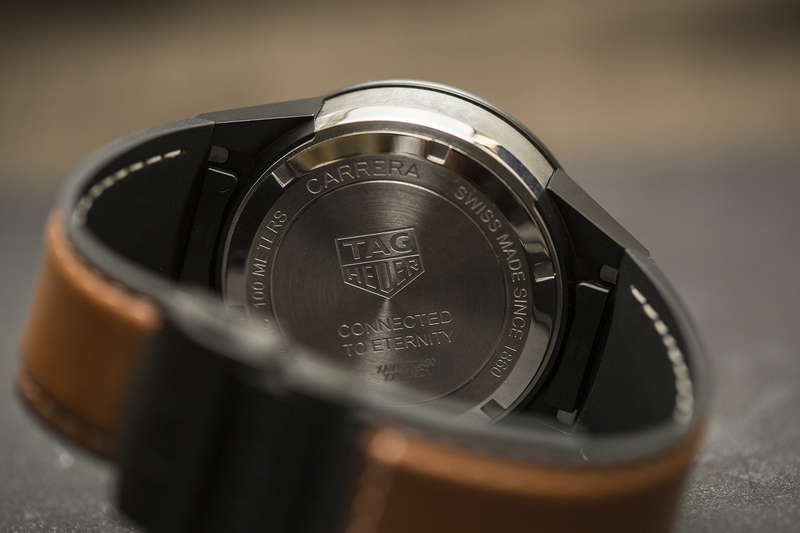 TAG Heuer are hoping to capture both the ‘good watch’ buyer – as in, “I need a good watch for work and special occasions” – and the smart watch buyer with the one product. That’s two hooks on one line, and the versatility of the package is a bait many will find too good to resist. Deluxe box set including a Connected Modular 45 (in grade 5 titanium, with titanium lugs and brown natural leather strap), complete with the COSC-certified chronograph Heuer-02T tourbillon mechanical module, plus an additional black rubber strap, is available for a total price of $23,900. The set comes in a presentation case with three drawers, complete with a desktop display stand to hold the watch and its charger.